1) (Bart., Denton). Gu. a saltire or, surmounted of another vert. Crest—A blackamoor’s head In profile couped at the shoulders and wreathed about the temples all ppr. 2) (granted to Biggs Andrews, Esq., Q.C., of the Middle Temple). Or, on a pile az. a dove ppr. in base on either side a mullet of the second pierced of the field. Crest—Upon a mount vert a dove holding in the beak an olive leaf slipped ppr. and charged on the breast with an escallop gu. 3) (Meriden, co. Warwick). Ar. on a bend cottised sa. three mullets of the first. Crest—A demi lion az. gorged with a collar or, charged with three mullets az. 4) (Shaw, Berkshire, created a bart. 19 Aug. 1766). Gu. a saltire ar. surmounted by another az. charged in tho centre with a bezant. Crest—Out of an eastern crown or, a blackamoor’s head couped ppr. in the ear a pendant or. Motto—Victrix fortunae sapientia. 5) (Lathbury, co. Buckingham, cos. Norfolk and Suffolk). Ar. on a bend cottised sa. three mullets of the field. Crest—A stag’s head erased or. 6) (confirmed with four quarterings by the Deputies of Camden, Clarenceux, to William Andrews of Meriden, co. Warwick, third in descent from William Andrews of Harborne, co. Warwick). Arms same as the preceding. 7) (Barnes Hall, co. Worcester; Longdon, and Elderton, co. Warwick). Gu. a saltire or, surmounted by another vert. Crest—A Moor’s head in profile, couped at the shoulder and wreathed about the temples all ppr. 8) or Andrew (Charwelton, co. Northampton, Blisworth, &c.). The same as Andrews, Bart. Denton. 9) (Durham). The Same Arms and Crest as Andrews, Bart., Denton. 10) (London, and Hampshire). Ar. on a chev. engr. betw. three quatrefoils slipped vert as many mullets or. Crest—An arm erect habited vert cuffed ar. charged on the sleeve with a quatrefoil or, in the hand ppr. a branch vert thereon three quatrefoils or. 11) (Kimpton Park, co. Middlesex, granted 2 Sept. 1704). Ar. on a bend wavy cottised betw. two lions ramp. sa. crowned or, three estoiles of the first. Crest—On a naval coronet or, a dove volant with an olive branch in the beak all ppr. 12) (Suffolk). Ar. on a bend engr. betw. two cottises sa. three mullets or. Crest—A stag’s head erased ar. 13) (Suffolk). Ar. on a bend engr. betw. two cottises and as many lions ramp. sa. three mullets ar. Crest—A bird, wings expanded az. holding in the beak a laurel branch (another, an acorn) vert. 14) (Suffolk). Ar. on a bend engr. sa. three mullets of the field. 15) Ar. on a bend cottised sa. a mullet of the field. 16) (granted 1529 to Richard Andrews, of Synton, co. Worcester). Ar. on a chev. engr. gu. betw. three mullets vert as many quatrefoils or, pierced az. Crest—A greyhound’s head couped per pale or and sa. on the neck a saltire counterchanged betw. a pellet and a bezant. 17) (co. Hants, Visit. Hants, 1634). Same as the preceding. 18) Per saltire gu. and or. 19) (Doddington). Gu. a saltire voided or. 20) (London). Ar. a saltire az. on a chief gu. three mullets or. 21) (Bisbrooke, co. Rutland). Az. a cross erm. betw. four fleurs-de-lis or. Crest—A demi lion or, ducally crowned ar. holding in the dexter paw a human heart gu. 22) (Suffolk). Ar. on a bend. engr. cottised sa. betw. two lions ramp. of the last, three mullets of the first. Crest—A stag’s head erased ar. 23) (St. Edmund’s Bury, Suffolk and Wiltshire). Or, on a bend engr. gu. cottised sa. charged with three mullets ar. 24) Az. a saltire betw. four crosses formee or. 25) Sa. three escutcheons ar. each charged with a lion ramp. gu. 26) Ar. a cross gu., a martlet sa. for difference. 27) (Backhould and Plymouth, Devonshire). Sa. a saltire ar. betw. four crosses crosslet or. Crest—A stag’s head erased sa. attired or. 28) (Gloucestershire). Sa. a saltire engr. erm. on a chief or, three fleurs-de-lis of the field. 29) (Clockmilne, Scotland). Ar. on a fesse sa. six lozenges pierced or, in base a crescent gu. and on a chief az. three mullets of the field. Crest—A dexter hand holding a laurel branch ppr. Motto—Virtute et fortuna. 30) (Netbertarvit, Scotland). Per bend ar. and az. three mullets counterchanged. Crest—A star or. Motto—Give and forgive. 31) Gu. three mascles in bend or, betw. two lions ramp. ar. 32) (granted 1334 by Guyon King of Arms, to Thomas Andrew and his brothers Randolfe, Richard, William James and Andrew). Gu. a saltire or, surmounted of another vert. 33) (confirmed 1476 by Holm, Clarenceux, to Thomas, son and heir of Richard Andrew, of co. Warwick, Gent.). Same as preceding. 34) (Fun. Ent. of Right Rev. George Andrew, Bishop of Ferns, 1635-1660). Gu. on a saltire or, surmounted by another a saltire vert. 35) (Tredinick, co. Cornwall). Az. on a saltire engr. betw. four ears of wheat or, a stag’s head cabossed ppr. Crest—A stag at gaze holding in his mouth a wheat-ear all or, charged on the side with two mascles interlaced az. Motto—Prospice. 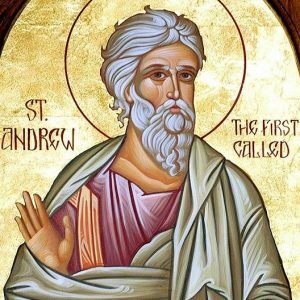 This is primarily Scottish last name is a baptismal or patronymic surname meaning “the son of Andrew”, deriving from the old personal (first) biblical name Andrew, which was popularized throughout the country due to the fact that St. Andrew (who lived in the Roman Empire in the 1st century AD) was the patron saint of Scotland. Andrew (or the Greek Andreas) was one the twelve disciples of Jesus Christ in the Christian religion. In Greek, it derives from the word andreios, meaning masculine, manly, or courageous. In Gaelic, the masculine given named was spelled Anddra and Aindrea. The family was first located in Caithness in northernmost Scotland, an area that was controlled by the Norse Vikings, which became the Earldom of Caithness, and this family is associated with Clan Ross. The family was originally known as Clan Siol Andrea, meaning, the race of Andrew. Common spelling variants or names with similar etymologies include Andrew, Andrewes, MacAndrew, Androw, Andro, Androe, Anderew, Andros, Androes, and Androwes. The last name Andrews ranks 206th in popularity in the United Status as of the 2000 Census. The name ranks particularly high in the following five states: George, Rhode Island, Alaska, North Carolina, and Maine. The surname Andrews frequency/commonness ranks as follows in the British Isles: England (192nd), Scotland (293rd), Wales (90th), Ireland (713rd) and Northern Ireland (194th). In England, it ranks highest in county Dorset. In Scotland, the surname ranks highest in Argyll. In Wales, it ranks highest in Monmouthshire and Caernarfonshire. In Ireland, it ranks highest in county Meath. In Northern Ireland, it ranks highest in Antrim. The name is also present throughout the remainder English speaking world: Canada (249th), New Zealand (104th), Australia (123rd), and South Africa (184th). The 1890 book Homes of Family Names by H.B. Guppy, states the following in regard to this surname: “In England these two names have their principal homes in the south – western counties, namely, Cornwall, Devon, Dorset, Hants, and Wilts. They are rare in the northern counties beyond the Dee and the Humber, where their place is taken by Anderson, at present best represented in Northumberland. Anderson, however, is a common name across the border, and, in fact, is frequent over the greater part of Scotland, northward to Aberdeenshire Andrew is the rarest form of the simple name, being most numerous in Cornwall, where it usurps the place of Andrews. We have here a good example of those erroneous beliefs concerning the distribution of names which have been founded on general impressions rather than on exact evidence. Mr. Bardsley, in his “English Surnames” (second edit., p. 94), observes that Andrew, Andrews, and Anderson nearly all belong north of the Tweed; and it would seem that the Patron Saint of Scotland is held mainly responsible for this result. I have shown, however, that, though Anderson is a common Scotch name, it has made a very successful invasion southwards across the English border. Andrew and Andrews, however, can scarcely be termed Scotch in any sense of the word. In the directories for Glasgow and Edinburgh, as well as in the county directories for Scotland, we find that whilst Anderson has a relative frequency of about 100 per 10,000, Andrew is represented only by about 8, and Andrews by 2. In truth, if I had treated Scotch names in the manner I have done in the case of English names, Andrew and Andrews would have been probably excluded from my list; and, in fact, they are absent from the list of characteristic Scottish names given in this work”. The earliest known bearer of this surname was Moricius Andrewys was documented in the Subsidy Rolls of Worcester in 1275 AD. The Hundred Rolls of 1273 AD, a census of Wales and England, known in Latin as Rotuli Hundredorum lists four bearers of this surname: Robert Andreu (Cambridge), Nicholas filius (son of) Andree (Salop), John Andre (Cambridge), and Henry filius Andr (Oxford). Thomas Andreu, vicar of Briston, was of county Norfolk in 1442. The Poll Tax of Yorkshire in 1379 AD lists one bearer of this last name: Willelmus Andrewe. Early marriages involving this surname include Elizabeth Andrewes to Thomas Fuller in London in 1619, as well as James Andrewes to Euphemia Masterton in Edinburg, Scotland in 1798 AD. An early baptism involving this name was Edward Andrews at St. Giles, Cripplegate, London, England in 1572. Sir James Andrews, 1st Baronet, was born in 1877 and was of Combert, county Down, Northern Ireland. He held numerous positions and titles including Lord Justice of Appeal, as well as Lord Chief Justice of Northern Ireland, and Privy Councillor. He was created baronet in 1942. In 1922, he married Jane Lawson, daughter of Joseph Ormrod of Bolton. The lineage of this branch of the Andrews family tree begins with James Andrews of the Old House, Comber, who was born in 1762. He married Frances Glenny, and had a son with her named John. John Andrews was of Uraghmore, Comber, county Down and was a Justice of the Peace, and High Sheriff in 1857. He was born in 1792, and in 1826, married Sarah, daughter of William Drennan of Cabin Hill, and Sarah Swanwick, his wife. He had the following issue James (Justice of the Peace, married Mary Catherine, daughter of Robert Robert Andrews, had issue named Herbert William, Arthur MacDonald, Henry Percy, Cecil Frank, Amy, and Eileen Lucy), William Drennan (married Eliza Galloway), John (Justice of the Peace, married Annie Andrews, had issue named John Drennan, Mary, Eva, and Ethel), Thomas, Sarah, Sarah, and Frances (married Edmund W. Garrett). The fourth son, the Right Honorable, Thomas Andrews, P.C., of Ardera, Comber, co. Down, was a Deputy Lieutenant, Member of the Appeal Commission, was born in 1842. In 1870, he married Elza, daughter of James Alexander Pirrie, of Little Clandeboy, and had issue with her as follows: John Miller (flaxspinner and landowner, Deputy Lieutenant in county Down, High Sheriff, Member of Parliament, Minister of Labour, Prime Minister, other titles), Thomas (married Helen Reilly Barbour), James (created Baronet in 1942), William, and Eliza Montgomery (Nina, married Lawrence Arthur Hind in 1906). The Andrews Coat of Arms (erroneously called the Andrews Family Crest) has the following heraldic blazon: Azure on a fess or three mullets of the field. Crest: On a wreath of the colours a dove holding in the bill an olive branch proper charged on the breast with a mullet azure, mantled gules doubled argent. Motto: Always faithful. They resided at Eusemere, Comber, county Down, Northern Ireland. 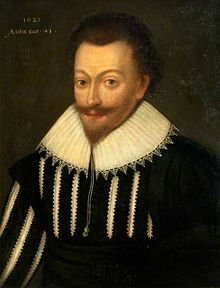 William Andrews (or Andrewes) was born in England around 1595 AD. He married Abigail Graves Bearding in England in 1630. He went to colonial America, settling in Hartford, Connecticut. He fathered the following children: John, Abigail, Elizabeth (Grannis), Thomas, William, Esther (Spencer), and Samuel. His son Thomas was born in Hartford, Connecticut around 1638. He married Hannah Kirby Rollo and had the following issue with her: Mary, Thomas, John, Rebecca, Hannah, Elizabeth, Abigail (Parmelee), Sarah, Abigail, and Samuel. His son Samuel was born in Middlesex, CT in 1683. He married Eleanor Lee and had numerous issue with her as follows: Samuel, Mary, Richard, Elinor, Hannah, Sarah, Elizabeth, Ezra, Thomas, Nehemiah, Abigail, Mehitable, Susannah, Zephaniah, Ebenezer, and Rachel. His son Nehemiah Andrews was born in East Haddam, Middlesex, Connecticut in 1772. He married Hannah Borden and had the following issue with her: Mahitable, Hannah, Asel, Richard, Nehemiah, Eli, Samuel, Asa, Ambrose, Rebecca, and Wells. His son Nehmiah was born in Haddam, CT in 1750. He married a woman named Sarah and later a woman named Hepzebah Rowland. He had two sons: Richard and Jonathan Robert. His son Richard was born in Hartland, CT in 1789. He married Sara Ann Brockway and had the following children with her: Albert, Sophia, Lovina, Pluma, Elsa, Amanada, Timothy, Benjamin Dean, and Silas. His son Corporal Benjamin Dean Andrews was born in Richland County, Ohio in 1838. He married Mary A. and had two sons with her: George Thomas and James Andrews. His son George T. was born in Illinouis in 18632. He married Amy Elizabeth Shaw and had two sons with her: Benjamin P. Andrews and Lora May Andrews. His son Benjamin P. Andrews was born in Abingdon, Knox, Illinois in 1886. He married Maida Lucille Malone and had two sons with her: Robert Alfred and George Thomas. His son Robert Alfred Andrews was born in Kingsville, Kleberg, Texas in 1913. He married Luewella May Fairley in Seattle, Washington in 1936. He had a son and daughter with her. He died in Sonoma, California in 1981. Samuel Andrewes, age 37, and his wife Jane, came to New England aboard the Increase of London in April 1635. They had two daughters as well: Jane, age 3, and Elizabeth, age 3, also spelled Andrewes and Androwes. Jocomb Andrews was recorded as living in Virginia in February 1623. William Andrews was recorded as living in Virginia in February 1623. Anthony Andrews was recorded as living in Virginia in February 1623. 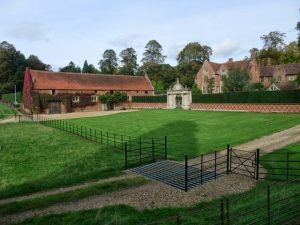 A one Joakin Andrewes owned 100 acres of land at Archers Hope in Virginia during the sixteenth century. John Andrewes was on a list of convicted rebels (Monmouth’s Rebellion of 1685) who were sent to the New World from Taunton. Sage, wife of James Andrews, was buried in June of 1679 in the parish of St. Michael’s, Barbados. Jonathan Andrewes owned 37 acres of land in the parish of St. George in the Barbados in 1679. William, son of Jonathan Andrewes, was baptized in June of 1679 in St. Georges, Barbados. Charles Andrewes was buried in St. George’s, Barbados. 3) William Andrew, of Cambridge, a mariner who was made a freeman 1634, who died prior to 1655. He married Mary and had children named Samuel and others. 4) One branch of the Andrews family tree descended from Andrew of Charwelton, county Northampton, England, founded by Ralph Andrew of Gray’s Inn, son of Thomas Andrew of Carlisle, around 1286AD. 7) Francis Andrews of Hartford, CT, 1639, had sons named John in 1646 and Thomas in 1648. He later4 moved to Fairfield. 8) Henry Andrews of Taunton, MA, who was “an original purchaser” and representative from 1639. 18) William Andrews of New Haven, CT, who signed the compact, 1639. He was a founder of the church there and also served in the military. It is also said that he “kept the ordinary”. Other early settlers in colonial America bearing the Andrews surname include Susana (Virginia 1635), Gideo (Virginia 1700), Lydia (Virginia 1702), Francis (Virginia 1714), Lawrence (Virginia 1719), Anne and (Maryland 1720). In Canada, one of the earliest settlers bearing this last name was John Andrews, who arrived in Port de Grave, Newfoundland sometime before 1658. A family of this name settled in Harbour Grace prior to 1675. In Australia, one of the earliest bearers was Michael Andrews, a convict from Middlesex, England who came to New South Wales (then a penal colony) aboard the Albion in May of 1828. In New Zealand, George Andrews came to the city of Wellington in 1840. 1) Argent on a chevron engrailed gules between 3 mullets of the last 3 quatrefoils. Crest: a wolf’s, head(?) couped. Engraved on teapot made by Jacob Hurd, a mug by Thomas Edwards, and a chocolate pot by Zach. Brigden, the 1st and 2d given to the Museum of Fine Arts, Boston, by Miss Georgiana G. Eaton, the 3d owned by Wm. S. Townsend. 2) Gules a saltire argent surmounted of another azure. Crest: from out an Eastern crown a blackamoor’s head. Bookplate James Andrews. 3) Gules a saltire or surmounted of another vert. Crest: a Saracen’s head in profile couped at the shoulders: proper. From the ear hangs a golden pendant. Motto: Virtute et fortuna. Tombstone in Old North Churchyard, Providence, R. I. ( 1751). Vermont American Heraldry, pp. 41, 156. 1) Edward Andrews of Newport, Rhode Island, 1639, came from Northampton, England. Arms: Gules, a saltire or, surmounted of another vert. Crest: A Saracen’s head in profile couped at the shoulders, proper from the ear a golden pendant. Motto: Virtute et fortuna. 3) John Andrews of Farmington, Connecticut, in 1640, bore the same arms as John Andrews of Massachusetts. 4) Horace Andrews Jr., Esquire, of Albany, New York, bore the same arms as John Andrews of Massachusetts. 1) John Andrews, who came from Wales to Boston, MA around the year 1663. Arms: Argent, two keys endorsed in bend or, a sword interposed between them in bend sinister azure. Crest: A lion’s head erased. 2) John Andrews of Essex, England who came to New England in 1643. Arms: Gules, a saltire or surmounted by another vert. Crest: A blackamoor’s head in profile, couped at the shoulders and wreathed about the temples proper. There are hundreds of notable people with the Andrews surname. This page will mention a handful. Famous people with this last name include: 1) Albert George Andrews (1881-1960) who was a member of the Legislative Assembly of Alberta, Canada from 1922-1935, 2) Allen Andrews (1940) who was a representative of Heathcote in New South Wales, Australia from 1988-1991, 3) Arthur L. “Bud” Andrews (1934-1996) who was the 7th Chief Master Sergeant in the United States Air Force, born in Boston, Massachusetts, 4) Charles Oscar Andrews (1877-1946) who was a Senator from Florida for the Democratic Party between 1936-1946, born in Ponce de Leon, Florida, 5) Charles Barltett Andrews (1834-1902) who was the 49th Governor of Connecticut, born in Sunderland, Massachusetts, 6) Charles Andrews (1814-1852) who was a member of the U.S. House of Representatives from Maine, 7) Charles Andrews (1827-1918) who was the mayor of Syracuse, New York and a Chief Judge of the New York Court of Appeals in the late nineteenth century, 8) George Leonard Andrews (1828-1899) who was a Brigadier General in the Union Army during the American Civil War who was born in Bridgewater, Massachusetts, 9) George William Andrews (1906-1971) who was a member of the U.S. House of Representatives from Alabama from 1944-1963, 10) Sir James Andrews (1877-1951), 1st Baronet, who was born in Comber, County Down and was Lord Chief Justice of Northern Ireland, and 11) Thomas Andrews (1873-1912) who was an Irish businessman and shipbuilder who was the naval architect in charge of the plans for the famous Titanic, a ship which he perished aboard. The saltire is one the major ordinaries, large charges that occupy the whole of the field. Arguably one of the best uses of this device is that of the St. Andrews Cross, a white saltire on a blue background found on the Scottish flag. The saltire is obviously closely related to the Cross, and Wade in his work on Heraldic Symbology suggests additionally that it alludes to “Resolution”, whilst Guillim, an even more ancient writer, somewhat fancifully argues that it is awarded to those who have succesfully scaled the walls of towns! The marital arms of Sir Thomas Fludd show his wife’s family arms ( Elizabeth Andros d 1591) Her father was Phillip Andros of Taunton. It shows three silver or white mullets on a black band bordered by two narrow straight black bands on either side on a silver field. I apologize my heraldic vocabulary is lacking and I did not want to say the wrong thing. These arms are paired with Sir Thomas’ of three silver wolf’s heads erased on a green field. Some depictions of their son Robert Fludd show this same set of arms in his. The Marital arms can be seen on the wall of the Fludd chapel in Holy Cross church in Bearsted UK near their Milgate estate attached to her memorial. We also found them in an original heraldic document in the Kent County archives that confirms Sir Thomas’ right to the arms of Ririg Flaidd. The name attached to the Mullets arms is Phillip Andra(o?)wes,Esquire. I have not been able to find any trace of Phillip in my research online in the Taunton records unfortunately. Hope this is helpful. I have pictures of the heraldic document and Robert Fludds arms are probably easily found as he was quite well known as a physician and early Rosicrusion. We have researched this family by physically visiting the Milgate area and the Bearsted Church where the Fludds are buried and its parish records as found transcribed and preserved on microfiche in the Kent County archives in Maidstone because we re enact this family in N California Renn Faires and wanted to know as much as we could to do them honor. The reception in England to our visit and inquiries was amazing. To hold that heraldic document in our hands was thrilling.